Summer in southeast Alaska is kelp season for the cofounders of Barnacle Foods, Lia Heifetz and Matt Kern. Each week, the pair watches the tides and weather, waiting for the right moment to cruise out to the abundant kelp beds offshore. They lean over the side of the boat and pull up the fronds and stalks, one piece at a time. As soon as they get back to shore, they start processing the day's harvest into a local delicacy: kelp salsa. Salsa and Alaskan algae might seem like odd bedfellows, but for Barnacle Foods, it's a calculated decision. The kelp's savory notes make the salsa's flavor "a little more explosive," according to Kern. And the pairing is also a practical one. "Salsa is such a familiar food item," Heifetz said. It's "a gateway to getting more people to eat seaweed." Move over spirulina, there's a new algae in town—chlorella. This nutrient-dense algae has been receiving a lot of buzz for its health benefits. Botanically speaking, it's not a grain. However, it's often called a "pseudograin" because it's similar in nutrients and eaten the same way as cereal grains (1). Quinoa was first grown for food 7,000 years ago in the Andes. The Incas called it "the mother grain" and believed it was sacred (2). Although it's now grown around the world, the majority is still produced in Bolivia and Peru. It was largely unknown to the rest of the world until very recently (1). There are more than 3,000 varieties of quinoa (2). White quinoa is the most commonly consumed variety and is what you'll usually find at the store. Interestingly, the different types also have varying nutrient contents. Manganese: 58 percent of the RDI. Magnesium: 30 percent of the RDI. Phosphorous: 28 percent of the RDI. Folate: 19 percent of the RDI. Copper: 18 percent of the RDI. Iron: 15 percent of the RDI. Zinc: 13 percent of the RDI. Thiamin: 13 percent of the RDI. 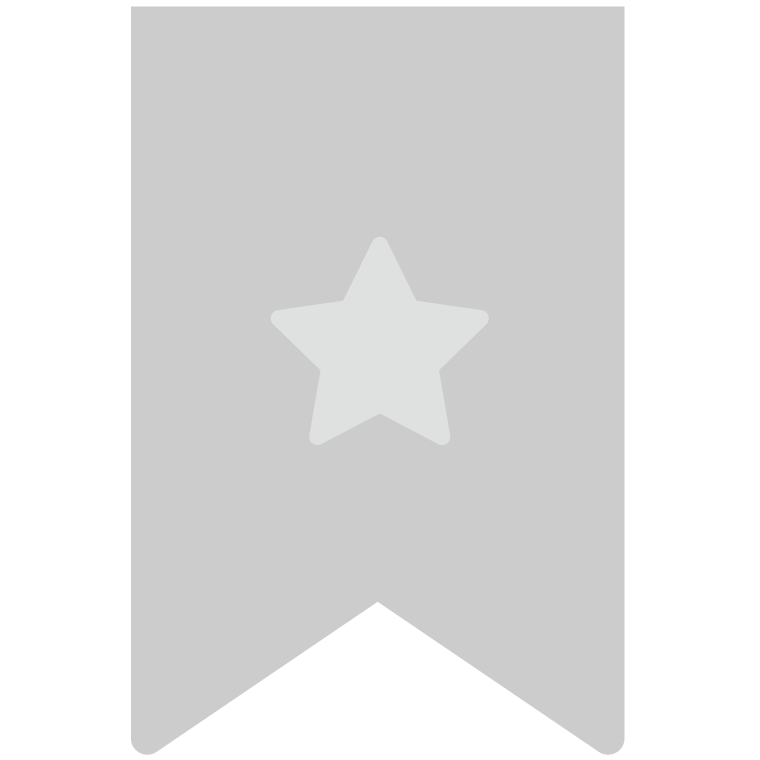 Riboflavin: 12 percent of the RDI. One study examined 10 types of grain from Peru. It found that quinoa had an antioxidant capacity of 86 percent, which was higher than all the other grains analyzed (7). Nonetheless, one study found that consuming 25 grams (just under 1 oz) of quinoa daily increased levels of the important antioxidant glutathione by 7 percent (9). One large review found that consuming just 16 grams of fiber from whole grains per day was linked to a 33 percent lower risk of developing type 2 diabetes (10). 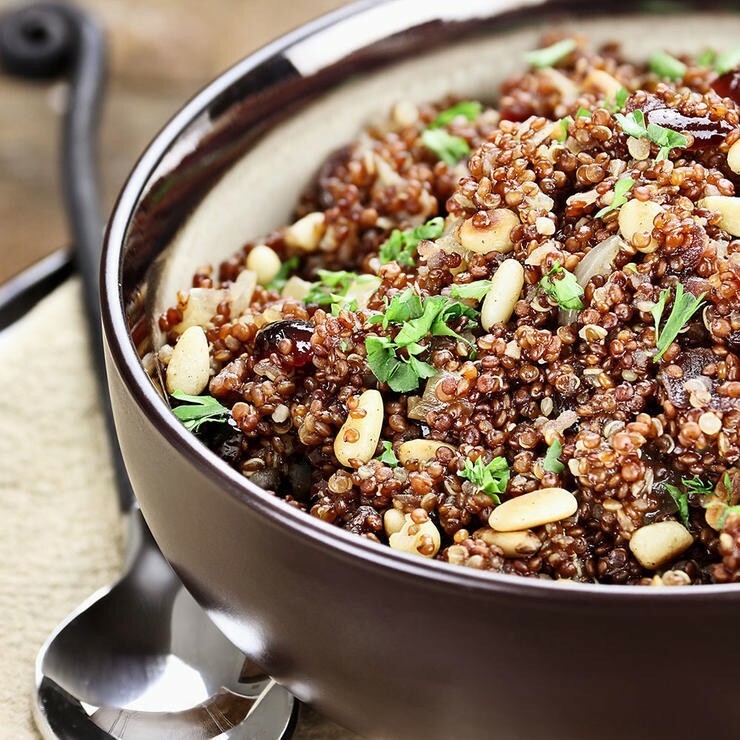 Quinoa's high fiber and protein content may also contribute to its positive effects on blood sugar. However, it is a grain and is still relatively high in carbs (7). However, the effects were small and it lowered the levels of the "good" HDL cholesterol too. Saponins are one of the plant compounds found in quinoa. They give it a bitter taste and some people rinse or soak quinoa to try and remove this taste (16). One study found that saponins could inhibit the production of pro-inflammatory compounds by 25–90 percent in isolated cells (16). Seaweed is an acquired taste, but rich in nutrients and cheap to produce, and it could replace carbon-intensive foods on menus everywhere. With that in mind, Lisette Kreischer and Marcel Schuttelaar wrote Ocean Greens, a guide to cooking with seaweed. Kreischer shared her insights on seaweed with Nexus Media, along with two of her best recipes. No food deserves the proclamation of "superfood" so much as sprouts. They are a sustainable, living food, loaded with highly bioavailable nutrients. They are easily digestible nutrition, yet they are also incredibly affordable. In this age where many of us have trouble affording or consuming all of the veggies we need in a day, sprouts are awaiting your discovery. "Sprouts are the most bioavailable, nutrient-dense foods on the planet. Because of their ability to be grown year-round and their incredible potency, growing your own sprouts can turn your kitchen into your very own, living 'farm-acy.' Sprouts are living medicine." Because sprouts (aka baby plants) are so easily digestible and affordable, consuming them can act as preventative medicine. Many sprouts are scientifically known to contain anti-cancer properties, like broccoli sprouts, in quantities you could never ingest were the sprout fully grown into the mature plant. They are high in protein and proportionally more nutrient-dense than their mature counterparts. Oh, and you can grow them right in your kitchen! "A mason jar was never designed as a sprouting tool. Sure people have invented tops that make them workable, and sure people have mason jars laying around, but this does not make it any more ideal. Look at the environment plants grow in naturally. Soil is porous and naturally aerates. Water is held by the seedling and then dissipates. The sprout bag is designed as a sprouter. I get calls and emails daily with peoples sprouting problems. 9 times out of 10 it is either bad seed, or a bad grower. Good seeds and a good grower and sprouts will grow themselves!" Once you begin sprouting, you'll find it's incredibly easy. In fact, growing sprouts make it possible for you to have fresh produce in your kitchen year-round, no last minute grocery excursions required! But what do you do with all of your sprouts? Well, you can make a delicious and highly nutritious sprout salad, toss them on top of stir frys or dehydrate them for a crispy snack. Radish sprouts. High in vitamin A, vitamin C and calcium, radish sprouts are incredibly pungent with a delightful radish intensity. Dehydrating them can extend their shelf life significantly. Once mature after 5 to 6 days of sprouting, spread your radish sprouts out in a single layer on a dehydrator tray at 115 degrees F (or, in a pinch, use a cookie sheet with the oven at its lowest setting, keeping the door slightly ajar). Let dehydrate for 2-3 hours or until crisp. Broccoli sprouts. Known to have potent anti-cancer properties, broccoli sprouts are a personal favorite. There is also evidence that they can help with estrogen dominance by supporting the body in processing excess estrogens. Since our environment is rampant with xenoestrogens, this can be an important food for women and men of all ages. After sprouting for 5 to 7 days, set the sprouts in a single layer on a dehydrator tray set around 115 degrees Fahrenheit for 2 to 3 hours, much like radish. Wheatgrass. There is a lot of confusion about wheatgrass, so I am going to take a moment to clear some of it up. Unfortunately, dehydrating wheatgrass sprouts is a bit of a waste. Your body cannot digest wheatgrass—we do not have ruminant stomachs as cows do. So, to reap the incredible benefits, we juice it. Dehydrating the wheatgrass would simply leave all of the undigestible bits and take out all of the juice, rendering it fairly inedible. Wheatgrass powders are made by freeze drying the fresh juice, not by dehydrating and powdering the wheatgrass sprout itself. Also, for all those concerned, know that wheatgrass itself contains no gluten. The green stalk that we use to juice is gluten-free. Gluten in stored in the seed itself and absolutely none of it resides in the luscious green stalk. Lentil sprouts. Move over beef! These powerful sprouts are 26 percent protein. While lentil sprouts can be eaten raw or cooked once sprouted, they actually can make a tasty dehydrated snack as well. To begin, lentils take 4 or 5 days to reach peak nutrition, so pop them into a hemp bag or automatic sprouter and just make sure that they are watered ever morning and evening. Once they are done, spread the sprouts out onto a dehydrator tray at 115 degrees Fahrenheit and dehydrate for about 4 hours or until crisp. Store in an airtight container. Once you get the basics down, feel free to marinate the sprouts beforehand in some onion powder and tamari and ginger powder for a flavor packed, nutritious snack! If you marinate them, dehydrate them at 125 degrees Fahrenheit for 6 to 8 hours. Simmer sprouted lentils in water on low heat for an hour or until soft. Process in a food processor with tahini, sunflower seeds, miso, garlic and spices. Form into patties, using a little corn meal if the patties seem a little too wet or sticky. Place on parchment paper and bake for 1 hour at 250 degrees Fahrenheit. Enjoy! Sprouts are a diverse wonder food! If you are new to the sprouting game, I recommend getting started by reading Sprouts: The Miracle Food. It is a wonderful book that covers everything you've ever wanted to know about sprouts and sprouting: germination, mixing and matching seeds, nutrition, health benefits and so much more. Once you know the basics, begin to experiment with your own dehydrated creations. Get ready to enter a new, sproutful world of nutritious possibilities! True, food isn't everything, but much of the hope (and hype) surrounding the anti-aging movement is focused on food and in particular on what are being called "superfoods." This is not a scientific term. It is not a term used by dietitians or nutritional scientists. A superfood is a food particularly rich in vitamins, minerals, antioxidants, amino acids, enzymes and other essential nutrients with proven health benefits. It has more of the good stuff per calorie than other foods and fewer (or none) of the properties considered to be negative. Broccoli—the "eat it, it's good for you" food that George Bush (the elder) proclaimed his distaste for—is one of the most nutrient-dense foods on Earth. 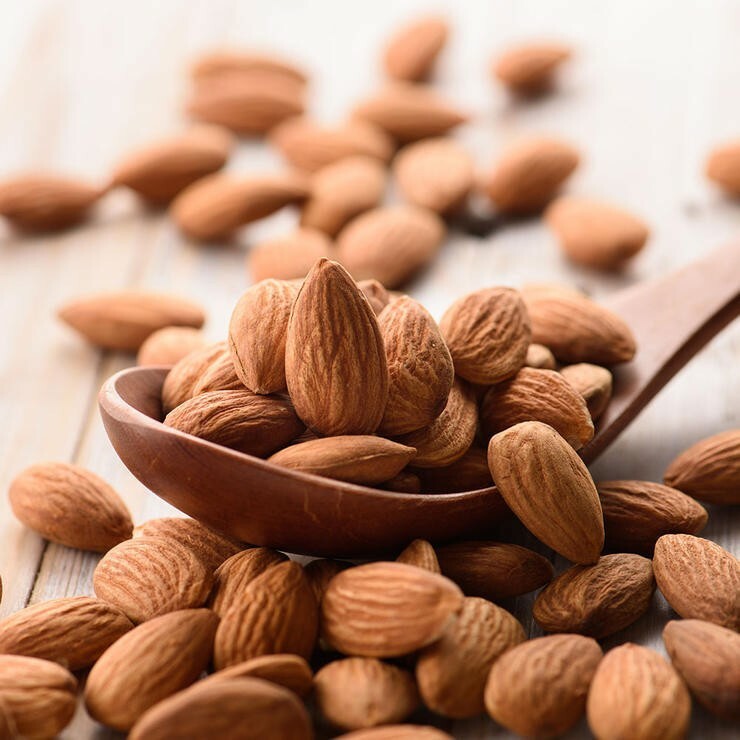 It has protein; bone-building calcium; fiber; vitamins A, C and K; a phytoestrogen shown to benefit cognitive skills; and a chemical that, at least in animal studies, reversed age-related damage to body tissues and organs. Done. Blueberries are one of the U.S. Department of Agriculture's (USDA) top ORAC foods. That stands for "oxygen radical absorbance capacity," which means these foods are antioxidant powerhouses that, as the USDA says, "attack aging at its roots" and can "help slow down the effects of aging in humans" by protecting the body against cellular damage. (Remember the pollution caused by those cellular engines, mitochondria?) Or that's what the USDA used to say. Recently, the agency has recanted, removing the ORAC list from its Web site because "metabolic pathways are not completely understood and non-antioxidant mechanisms [are] still undefined." In other words: More research is needed. 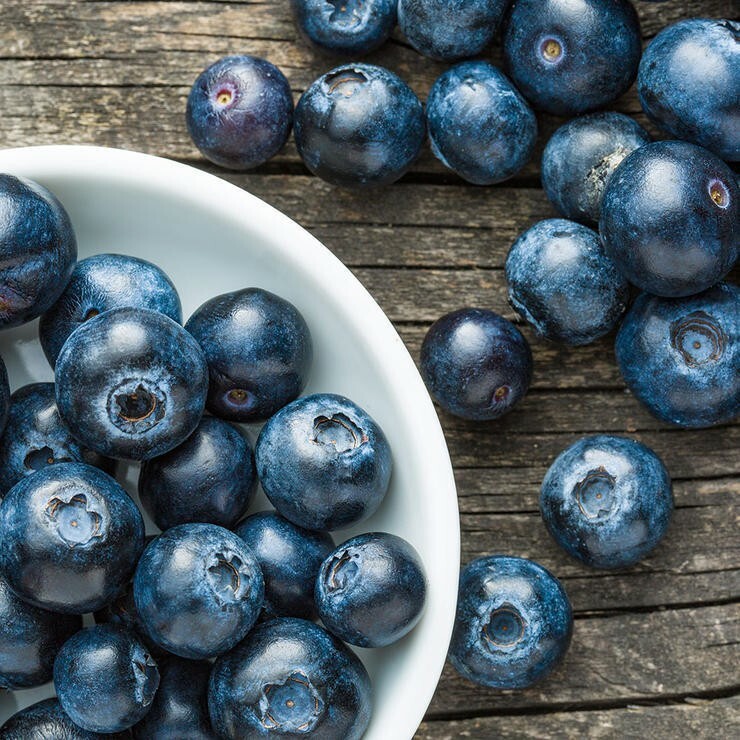 But studies at Tufts support the "powerhouse food" approach, finding that several compounds in blueberries help to mitigate inflammation. (Inflammation has been linked to just about every disease of aging). It's one of the richest sources of omega-3 fatty acids, which help to lower cholesterol, prevent blood platelets from sticking to artery walls, decrease inflammation, decrease the risk of strokes and prevent heart attacks. 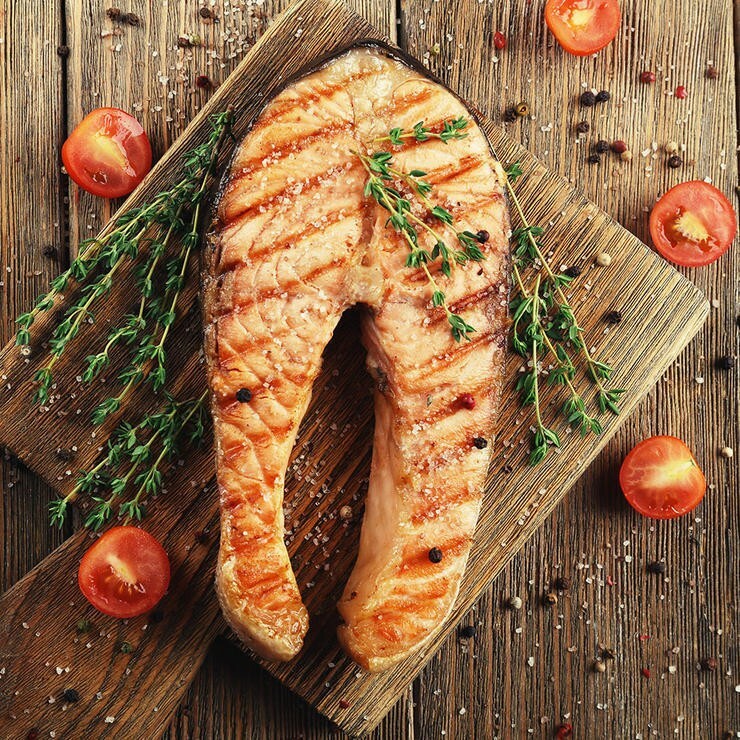 Salmon has lots of protein, is a good source of iron and is low in mercury—a concern for fish lovers. In 2009, Madonna went on a well-publicized salmon binge to "knock 12 years off her appearance," as the Boston Globe reported. Hard to separate the effects of salmon, a 24-7 personal trainer and possible skilled plastic surgery, but the woman looks amazing. Almonds (walnuts too and pistachios) are proven reducers of bad cholesterol. 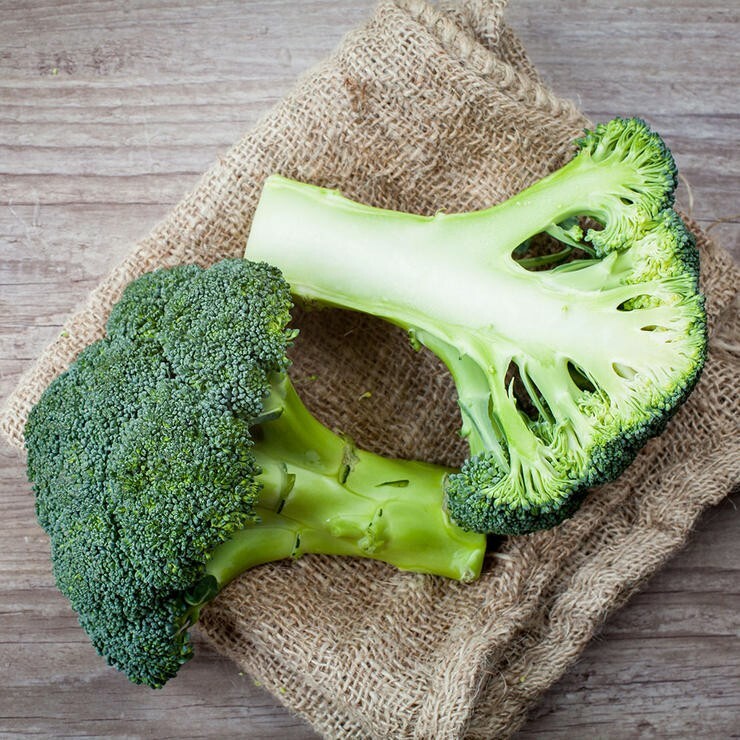 Like broccoli, they are rich in a type of antioxidant thought to be instrumental in battling free radical damage. They're high in fiber, in phytochemicals that may protect against cancer and in arginine, a precursor to human growth hormone. They are also high in calories, so limit the amount you consume. 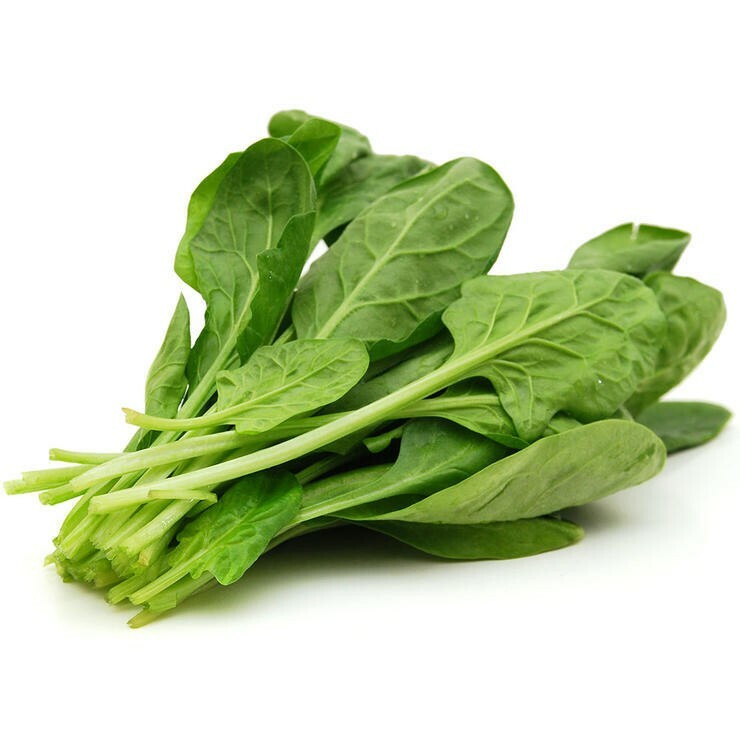 Spinach won't make your biceps bulge like Popeye's, but it's an extraordinary source of immune-boosting, cancer-fighting compounds with a high (albeit recently rescinded) ORAC score. 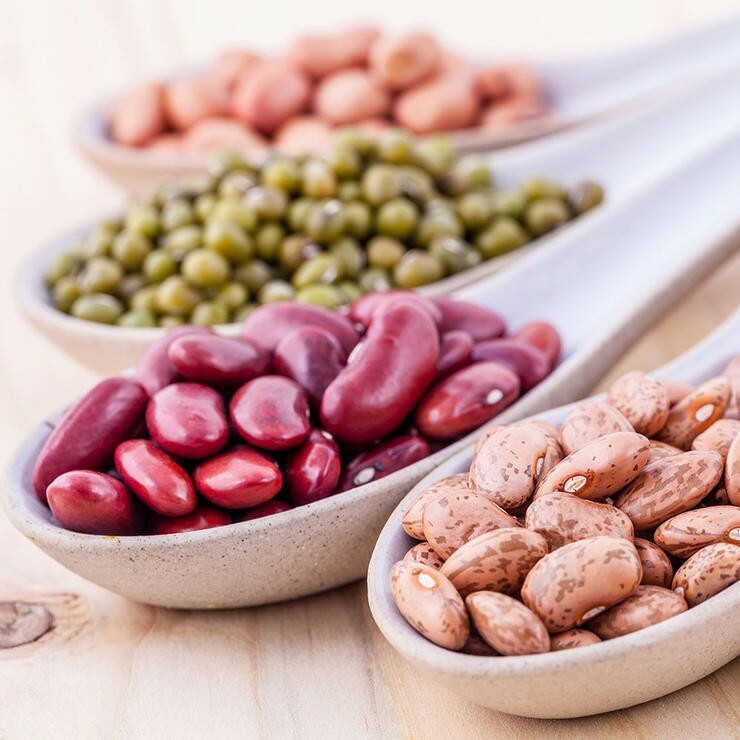 Beans also make the short list because they are very high in soluble fiber, which has been linked to lower risks of heart disease, diabetes and certain cancers; reduced cholesterol and blood glucose levels; lower blood pressure; and less inflammation. 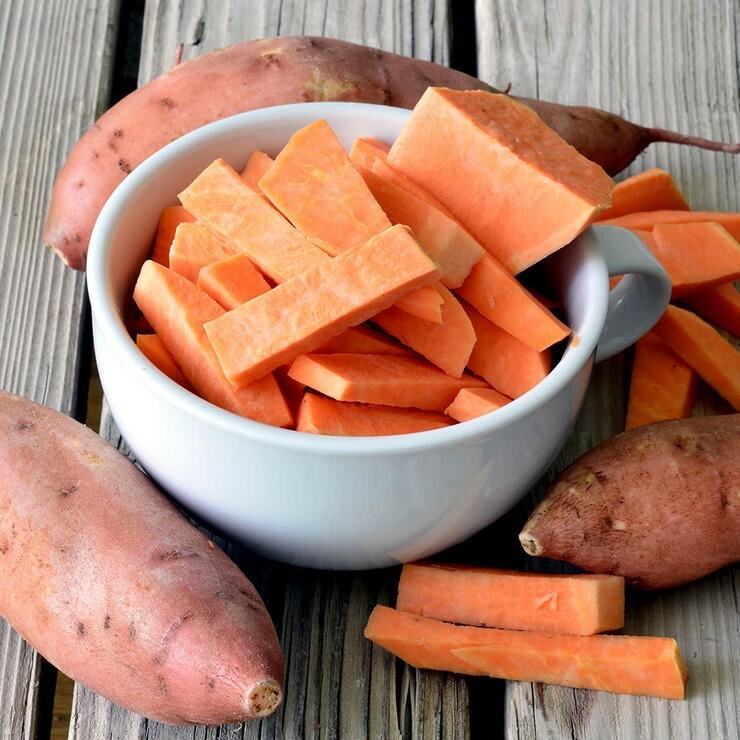 Sweet potatoes, with their prodigious vitamin A content (good for the skin and eyes), their host of powerful antioxidants and their potassium, which helps blunt the effects of sodium on blood pressure and bone loss, are nutritional powerhouses. If you grew up thinking sweet potatoes appeared on the dinner table only once a year, topped with brown sugar and mini marshmallows, that's no way to treat a top 10 superfood. The Greek-style kind (thicker and creamier) has triple or more the protein of regular yogurt. 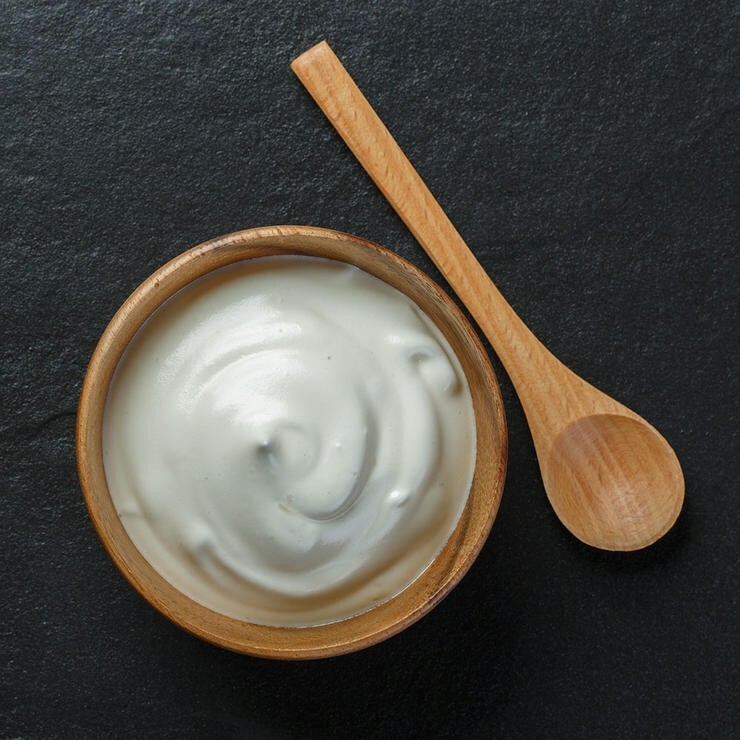 Yogurt is calcium rich, like milk (and can be tolerated by many of the lactose intolerant), and is full of what is euphemistically called "active cultures"—better than saying it's good for you because it's loaded with bacteria. But it's the good kind, the gut-enhancing kind. Quinoa (KEEN-wah) is the only grain on the list. It's high in protein, fiber and iron. Besides, the National Aeronautics and Space Administration scientists tasked with feeding astronauts in space chose it because it supplied the most "essential life-sustaining nutrients" of any single food. What they meant was that it contained all the essential amino acids and was thus a complete protein—not that it contained every nutrient needed to sustain life. 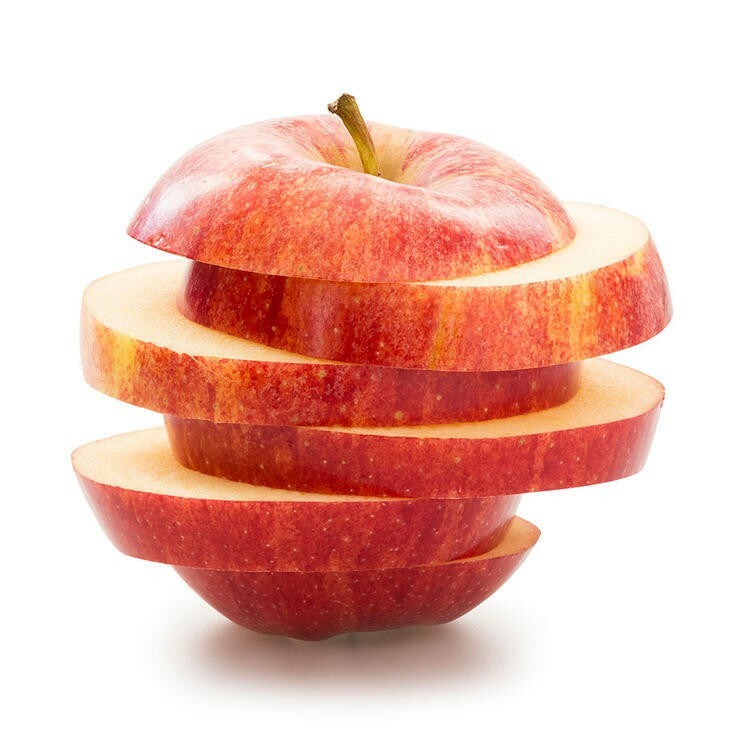 Rounding out the list is the keeps-the-doctor-away apple, with its heart-healthy, cholesterol-lowering fiber (eat the skin and buy organic) and free radical-fighting antioxidants. While most people probably think of parsley as nothing more than a garnish served alongside their restaurant meals, this herb warrants greater inclusion in our diet and natural medicine cabinet. Not only is parsley packed with nutrients, it helps prevent diabetes, prevent and treat kidney stones and is a proven all-natural anti-cancer remedy. It's definitely time to rethink this humble and overlooked herb. Not only is parsley packed with nutrients, it helps prevent diabetes, prevent and treat kidney stones and is a proven all-natural anti-cancer remedy. Native to southern Europe, parsley has been in use for more than 2,000 years and is used all around the world. According to the Roman statesman Pliny, "not a salad or sauce should be presented without it." While we tend to think of parsley primarily as food, our ancestors thought of it primarily as medicine. It was in this capacity that they used parsley to treat many conditions including: gallstones, arthritis, insect bites—even as an aphrodisiac and to curb drunkenness. When it came to alcohol consumption, ancient people believed that parsley could absorb the intoxicating fumes of wine so it could not cause drunkenness. Nutrition Boost: Parsley is high in many nutrients, including: vitamins A and C, as well as the minerals iron and sulfur, making the dietary addition of this versatile herb a simple and delicious way to boost the nutrition content of almost any meal or fresh juice. Anti-Cancer Powerhouse: A new study in the Journal of the Science of Food and Agriculture found that parsley has potent anti-cancer properties and works against cancer in four different ways: it acts as an antioxidant that destroys free radicals before they damage cells, protects DNA from damage that can lead to cancer or other diseases and inhibits the proliferation and migration of cancer cells in the body. Diabetes Prevention: Exciting new research in the Journal of Nutrition found that eating foods high in a naturally-occurring nutrient known as myricetin can decrease your risk of developing type 2 diabetes by 26 percent. Parsley is one of the best sources of myricetin, containing about 8.08 mg of the medicinal nutrient per 100 grams of parsley. Kidney Stones: In a study published in Urology Journal, researchers found that ingesting parsley leaf and roots reduced the number of calcium oxalate deposits (found in kidney stones) in animals. Additionally, the researchers also found that ingesting parsley leaf and roots helped to break down kidney stones in animals suffering from the painful condition. Parsley leaves and stems can be chopped and added to soups, stews, salads, pasta dishes, fresh juices and more. Try making the Middle Eastern favorite tabbouleh—a combination of couscous, parsley, chopped tomatoes, onions, lemon juice, olive oil and salt. You can substitute quinoa for a gluten-free, whole grain option. Parsley is also an excellent addition to most tomato sauces and chopped salads. Remember those commercials chiming “ch-ch-ch-chia"? Those very same chia seeds used to grow “hair" on a terra cotta dog are useful for much more than home décor. Chia seeds are nutritional powerhouses and may be the perfect food for people looking to save animals and kick their health into overdrive! Chia seeds contain more omega-3 fatty acids per ounce than salmon flesh does (as if we needed another reason to leave fish alone) and they're packed with antioxidants, which can protect your cells from damaging free radicals. They also contain five times more calcium than milk. If you're still not convinced, they're loaded with fiber: Just 2 tablespoons contain more than 30 percent of your daily intake. They're called a superfood for a reason! It takes just five simple ingredients to create this delectable dessert, most of which you probably already have in your pantry. This gorgeous falafel salad, courtesy of Vegan Insanity, features a power trio of chia, flax and sesame seeds. If you're not in the mood for salad, you can always pair the falafel balls with pita bread and hummus or tahini sauce. You really can't lose with this Mediterranean treat. Overnight oats are the best—they take just a few minutes of preparation and then the oatmeal makes itself while you're catching your z's. This recipe from Oh She Glows includes oats, mashed banana, cinnamon, almond milk, vanilla extract and our star ingredient, chia seeds. One great thing about chia seeds is that they can easily be added to many dishes, making whatever you're cooking up that much healthier. This recipe by Eat Drink Better calls for tasty toasted seeds. Chia and vitamin-packed sweet potato are combined in this recipe, courtesy of The First Mess, to make a biscuit that's much healthier than average. When you soak chia seeds in water, they take on a gel-like texture (“chia gel"), which serves as an easy egg substitute. This recipe from Versatile Vegan is so simple, we're convinced you're going to add scones to your baking repertoire. Bloggers at Oh My Veggies say that it took a while to get this recipe just right and we feel lucky to taste the benefits of their hard work. If you've always thought that making jam is too tricky or time-consuming, this super-simple recipe is for you. Vegan Insanity uses strawberries, but any of your favorite fruits can be substituted to make the jam of your dreams. Oh She Glows also uses a chia seed mixture as an egg substitute for these scrumptious cookies, which make a great breakfast treat, if you ask us. Try them with peanut butter on top for an extra protein kick. Using two tablespoons of both flax meal and chia seeds, Holy Cow Vegan makes waffles so healthy, they'll obliterate any possibility of carb-related guilt. This beautiful salad, courtesy of Conveganence, is jam-packed with healthy ingredients such as pears, kale, lemon, nutritional yeast and pumpkin, chia and pomegranate seeds. Minimalist Baker says these energy bites are “sweetened with dates and studded with oats, dark chocolate and chia seeds! Full of fiber, protein and healthy fats." And we say, how cute are they? Fettle Vegan has mastered the presentation of this gorgeous recipe with coconut whipped cream and a sprig of rosemary.